The jamming and packing of athermal spheres is an old and rich problem. While many studies have looked at mechanical phenomena like pressure, force networks, stress, and strain, we focus on geometric properties. 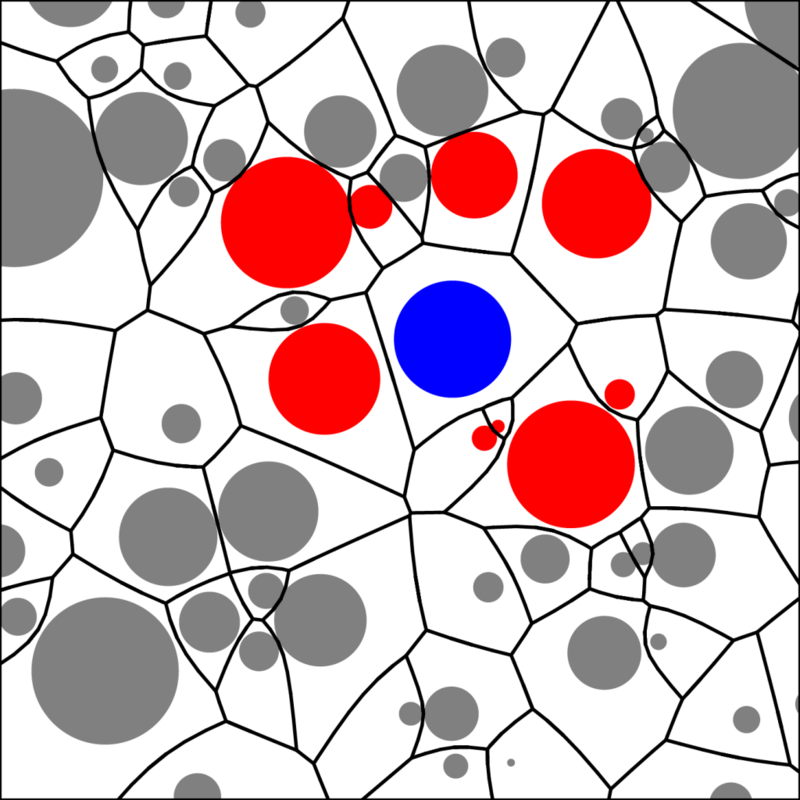 Specifically, we simulate spheres at a variety of packing fractions and we look at their Voronoi cells: the portion of space closest to a given particle. These cells change shape as a packing approaches jamming. We track these changes by observing their volume, surface area, and moments of inertia, which all show signatures of the transition. This new view of jamming as a purely geometric phenomena provides new insights and quantitative measurements.